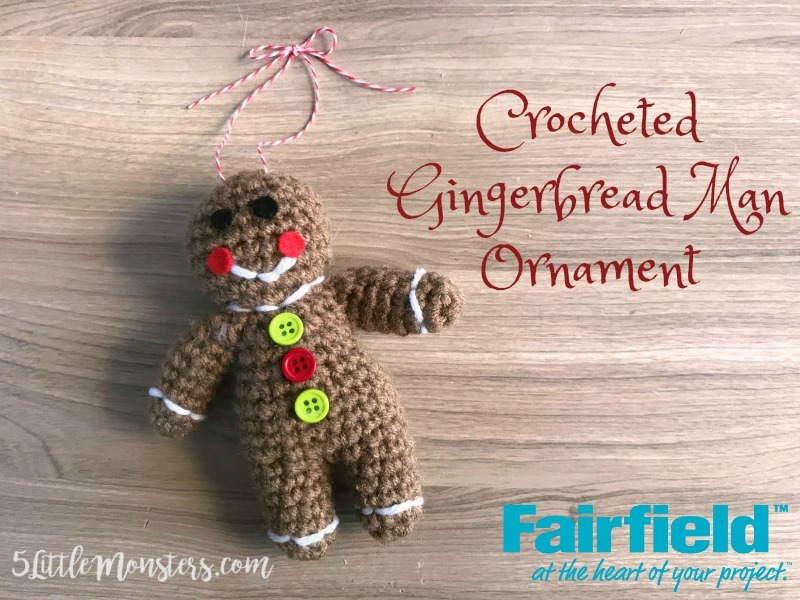 Another new ornament that I made for Fairfield World this Christmas is this little Gingerbread Man Ornament. It is crocheted all in one piece, no sewing parts on at the end. A some decoration with felt, buttons, and stitching to complete him. 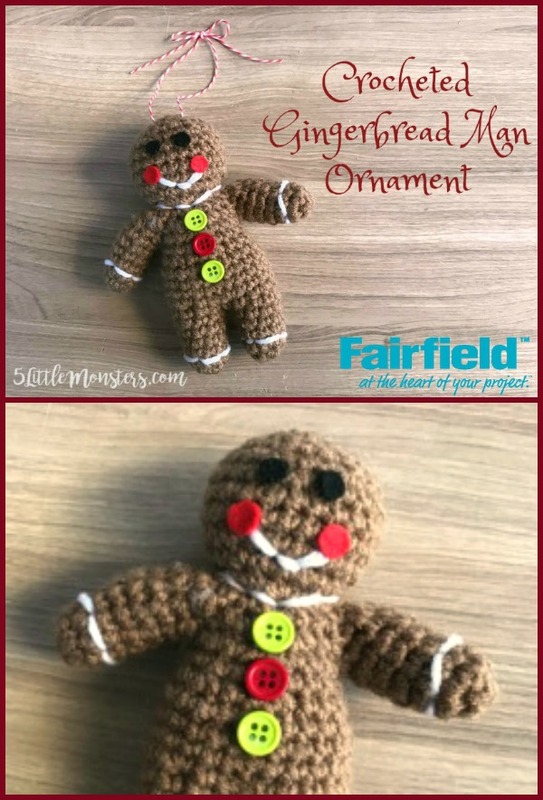 You can find the free Gingerbread Man pattern at Fairfield World. looks good really, it could be perfect toy for my niece.